Before there were mobile phones on selfie sticks and consumer-grade HD video cameras, there were Super-8 movie cameras. These handheld units were versatile but limited: they initially didn’t offer sound, film cartridges ran for only about three minutes and we had to send the footage off to a lab to get it developed. Toting a Super-8 camera, my father was the unofficial family documenter, filming snippets of life—from the four of us kids running around in the backyard to his almost anthropological recordings from places like China, Costa Rica and Nepal in the 1970s. But closest to our hearts were always the French Pyrenees. Looking back at our old home movies reminds me how quickly the world is changing, even though so much of this region has remained untouched since I was a kid—the same trails, bridges and sleeping huts exist. The sheep and cows still roam the hillsides “mowing (and mooing) the lawn,” leaving their fresh patties to step in.Perhaps the biggest change since first visiting has been the loss of eternal snow pack at higher elevations, which is evident in the videos my father and I shot respectively in 1975 and 2016. Now much of the white stuff comes and goes with the seasons. 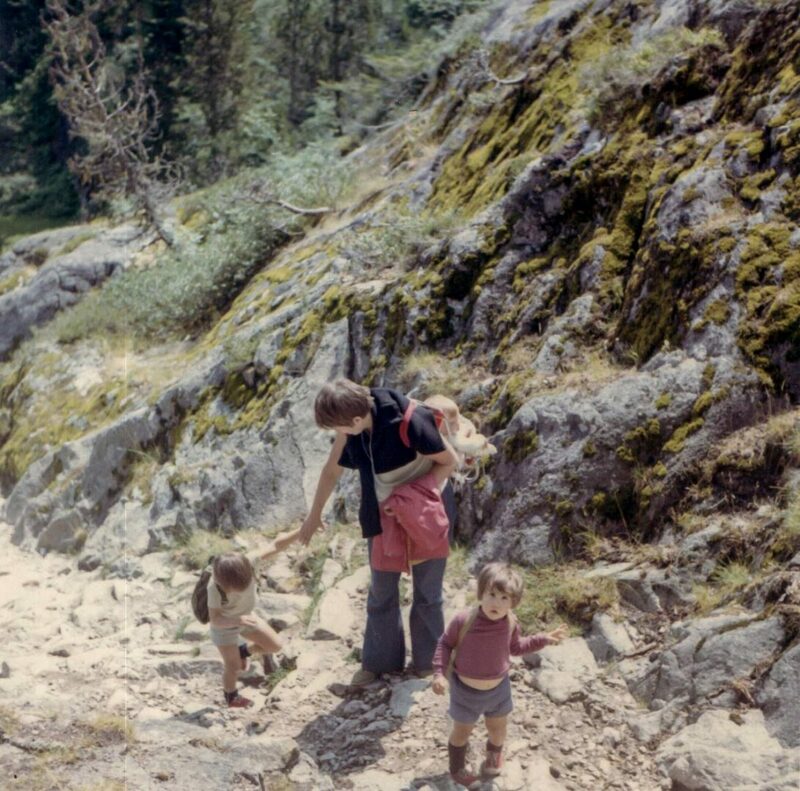 1969: The author slung on his mother’s back during a hike up the Pyrenees. My trips to Europe have evolved since the 1970s and ’80s. 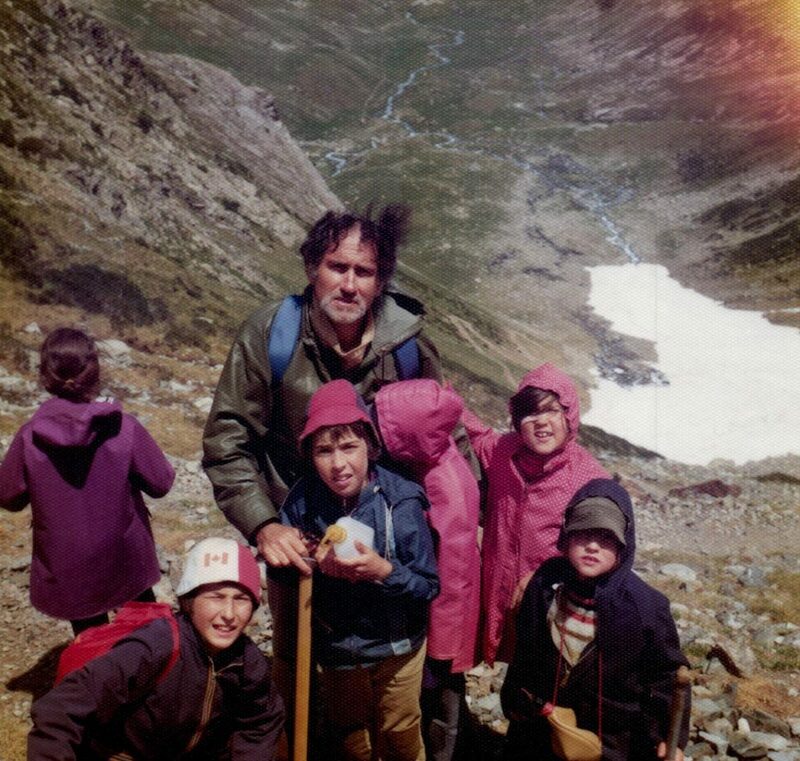 Back then, we’d go to France for six weeks during the summer and spend upwards of two weeks in the Pyrenees at the Refuge Wallon (altitude 1865m). Built in 1909, this stone refuge, with its tin roof and red shutters, served as an ideal departure point to several major valley systems and numerous mountain summits, as you can see in the home movie above. When we’d get home to Canada, I would watch my mom patiently huddle over a manual reel-to-reel film viewer, spinning through the latest footage, physically slicing out unwanted clips and taping together the good bits for our home movies. She helped shape the family narrative by choosing which frames stayed and which were discarded on the cutting room floor. 1975: The Brodey family and friends, including Papa Brodey in the back and young Robert on the right. On countless Saturday nights, we would set up the screen and projector in the living room, turn off the lights and be plunged into a silent yet immersive movie experience. It was astonishing and entertaining to watch ourselves as a family interacting with each other and the world. At the time, I didn’t recognize that what my parents had given us with these films was a lens through which to view our family history. Nowadays, needless to say, things are different. In the age of light and fast adventures, it’s difficult to imagine lugging a Super-8 camera around—I shot my latest footage from the 40-kilometre Course des Refuges trail race, above, entirely on the compact Sony RX100M4. But whether the equipment is heavy or light, standard definition or 4K, it’s really there to serve one purpose—to capture moments and stories. 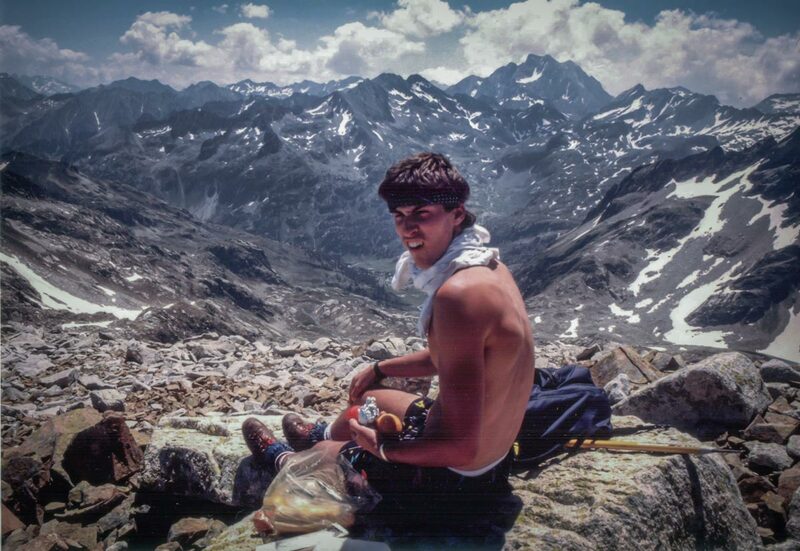 1986: Robert, now a free-wheeling teenager, relaxing in the French Pyrenees. Returning regularly to the same spot in the French Pyrenees for nearly five decades has been an amazing thing. But what’s equally awesome has been creating new experiences and new family stories in these spots with my wife and son. While our trips to Europe now last two weeks instead of six, and we spend just a handful of days in the Pyrenees, I know we have so much to look forward to. My son is young, but one day we’ll hike all the way up to the Refuge Wallon, and I know that as he gets older, perhaps these multi-generational home movies will help orient him in the world, providing another window to not only look back at where he comes from—but to think on all the possibilities that still lie ahead.